Leading a team of multifamily professionals are veteran principals with several decades of cycle-tested investment experience and an equally seasoned senior management team. Mr. Kerr co-founded Crossbeam in 2010 and has thirty years of experience in all facets of apartment investment operations, including acquisitions, asset management, dispositions, property management, development, renovation and real estate finance. Mr. Kerr previously served as President and Chief Executive Officer of a crossbeam predecessor company, a position he held since 2007. From 1992 to 1997, Mr. Kerr served as Director of Asset Management of Drever Partners, Inc. During his tenure, the company's portfolio doubled in size to more than 18,000 units. In 1997, Drever Partners was acquired by Walden, then one of the nation's largest multifamily real estate investment trusts and listed on the New York Stock Exchange. Following the acquisition, Mr. Kerr served as the Executive Vice President of Property Operations of Walden, responsible for managing its 43,000-unit multifamily portfolio. In 2000, Walden was acquired by Olympus Real Estate Partners ("Olympus") in a public to private transaction, after which Mr. Kerr served as Senior Vice President and Chief Investment Officer for Olympus' $1.8 billion multifamily portfolio. 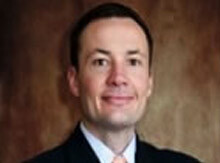 From 2004 to 2007, he was President of Coach Realty Services, Inc., an apartment development and management firm. Mr. Kerr also previously served as Vice President for Bank of America's real estate group in San Francisco and as a member of the Board of Directors of the National Multi Housing Council. Mr. Kerr holds a B.A. in economics from Washington and Lee University, and an M.B.A. in Finance from the University of Texas at Austin. 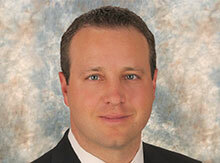 W. Bradford (Brad) Blash, is a co-founder of Crossbeam, and manages the affairs of the company in conjunction with Mr. Kerr. Mr. Blash has 23 years of experience in private equity real estate, completing over 250 joint venture equity and mezzanine debt structured finance transactions. These efforts have produced over 20,000 new and rehabilitated housing units with gross asset values exceeding $3.5 billion. Prior to his experience at Crossbeam, Mr. Blash spent 12 years at Fannie Mae, most recently as the Director of Equity Investments for the American Communities Fund (ACF). In his tenure at the ACF, Mr. Blash directed a nationwide equity production team in 5 offices that completed ventures with many of the largest U.S. multifamily real estate developers and operators. Mr. Blash holds a B.A. in Political Science from the University of Colorado. He serves on the Real Estate Advisory Board to the University of Colorado Leeds School of Business, has served as a member of the Urban Land Institute's Multifamily Council, and has served as a member of the Board of Directors of the National Multi Housing Council. Mr. Blash is a frequent speaker at national real estate investment conferences and has been quoted in multiple national publications including The Wall Street Journal. Ms. Perro is responsible for business development and investor relations at Crossbeam. She is primarily responsible for building relationships with Private Wealth Management firms, Family Offices, and HNW investors. She has over 28 years of experience in commercial real estate. Prior to Crossbeam, she held management positions with Guggenheim Real Estate, Liquid Realty, Metropolitan Real Estate Equity Management, and Equitable/Lend Lease where she was responsible for new client and consultant relationships, portfolio management, and business development. She began her career as an auditor with Ernst and Young in Atlanta. Lori holds a B.A. from Clemson University. Mr. Peterson is responsible for recommendations, analysis and strategic oversight of the company's multifamily portfolio and national acquisitions. A seasoned professional with over a decade of experience in acquisitions, asset management, finance and investor relations, he has been involved in over $1 billion in successful real estate transactions. At Crossbeam, where he has served for over eight years, Matt has worked with the principal team in developing and implementing its multifamily-acquisition strategy and business plan execution. Before his work at Crossbeam, Matt served as Managing Partner in a real estate startup company, specializing in the purchase of nonperforming loans (NPLs). He also worked as an Assistant Vice President for Denver-based real estate investment company Sevo Miller, now Miller Frishman. Matt was responsible for creating debt and equity structures to finance company acquisitions and disposition of the company's assets. Matt holds a BS with a concentration in Hospitality and Tourism Management from Montclair State University. 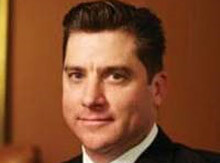 Darren Williams is the President of Portico Property Management, an affiliated property management company of Crossbeam. 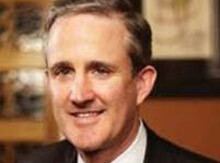 Mr. Williams is responsible for a portfolio of over 7,000 apartment units across multiple national markets. Mr. Williams has over 18 years of experience in the property management and hospitality sectors and has worked with several well-known national and regional real estate companies. He has extensive experience in working with both private and institutional investors in the acquisition, renovation, and repositioning of multifamily housing as well as the lease-up and stabilization of new construction assets. He prides himself in building a metrics-oriented performance culture throughout the management organization. Prior to founding Portico, Mr. Williams served as Vice President of Operations for Verde Apartment Communities where he created their management company and brought 5,000 units in-house overseeing 13 lease-ups and one acquisition. Prior to Verde Mr.Williams served as Regional Director for Firstworthing Companies (now Inland American Communities) and oversaw properties in California, Arizona, Colorado and Texas. Prior to his multifamily experience, Mr. Williams worked in the hospitality industry serving as the Employment Manager for the Arizona Biltmore Hotel. Mr. Williams holds a B.S. in Political Science and an M.B.A. from Arizona State University. 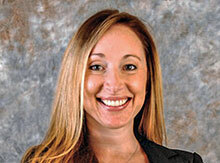 Ms. Killion is responsible for managing the daily operations of Portico Property Management. As Vice President of Operations for Portico, Robyn focuses on all property operations including process implementation, management transitions, support services, software, and training. Ms. Killion has over 10 years experience in property management and has served in various roles both on-site and at the corporate level. Prior to joining Portico, Ms. Killion served with Verde Apartment Communities in multiple roles, including Community Manager, Regional Resource Manager, and as Director of Training. 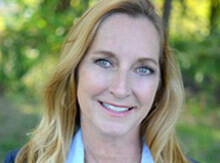 Ms. Killion specializes in identifying and correcting the weaknesses on troubled properties and process implementation. She has a true passion for building and growing exceptional on-site teams. Prior to joining Portico, Robyn served as a Regional Portfolio Manager for Wood Residential Services, the in-house management company for Wood Partners. With WRS, Robyn oversaw 4 stabilized properties in the Houston and San Antonio markets, as well as, 4 development/pre-lease up properties in Houston and Denver. Robyn has a Bachelor of Arts in Communication Studies from the University of Houston.